Flanked by their grandchildren, a couple celebrate glorious fifty years of marriage. In these times this occasion seems to be rare. 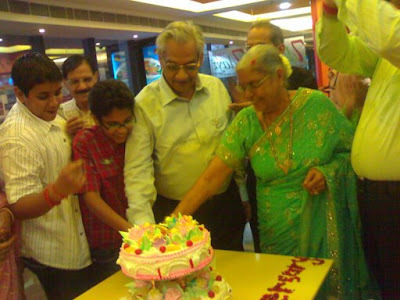 Wishing Fifty more years of married bliss for the couple in their golden years - Mr and Mrs. Khamboj! Fifty years! That's nearly as old as the state of India! Aww, they look lovely. As is this post.